Required qualification: Eight years progressive management experience in event food service operations. The successful candidate will have the ability to work effectively with faculty, staff and students from a variety of diverse backgrounds. Preferred qualifications include; bachelor’s degree, demonstrated leadership experience, knowledge and experience in the latest trends in the industry; a comprehensive understanding of financial, operational and customer service goals common in the stadium and arena concessions industry; demonstrated innovation in marketing concessions to the event attendee; capacity for creative and adaptive problem solving in a retail concessions environment; demonstrated history managing marketing elements that include product , price, portion, and production decisions; experience leading, training and evaluating a part-time and not-for-profit volunteer workforce; working knowledge of Micros point of sale equipment and Tangent reporting systems; superior oral and written communication skills and proficiency with Microsoft Office. Successful candidate must pass a background check and must qualify for an Oregon Liquor Control Commission Full On-Premise Sales License. Direct and oversee concession services at all athletic department event facilities. Responsible for promoting the philosophy and objectives of the intercollegiate athletics program, including adherence to all department policies and procedures, as well as the rules and regulations of the university, Pac-12 Conference and the NCAA. 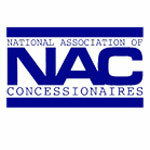 Develop and implement a profitable and comprehensive food and beverage concessions program for all athletic department venues, including but not limited to the budget preparation, purchase of inventory and equipment accordingly to all applicable rules, maintenance of good working relations with vendors and compliance with all applicable health laws and procedures. Develop and implement a comprehensive marketing strategy that considers service to the customer, product selection and pricing, display techniques, new product ideas or practices, service levels for each event and management of product mix. Stay current with industry best practices to assure that we are at the forefront of new trends. Consult with IMG regarding product brands. Provide leadership, information and training to staff that supports and encourages success. Establish and implement managerial methods to create a profitable cost center, customer satisfaction and a positive work environment. Working with the Athletic Business office, develop and distribute individual event financial reports following each event. Prepare relevant, accurate monthly and annual financial statements. Use financial information for timely decision making. Maintain all records as required by law. Advise and evaluate the investment of profits. Supervises and provides guidance to three Officers of Administration employees. Following all applicable Federal, State and University laws, rules and procedures, establish and maintain comprehensive personnel program which includes hiring, training, evaluating, firing, scheduling and retention of concession staff and non-profit groups. Establish job descriptions that encourage effectiveness through personal growth, responsibility and sense of accomplishment. Establish wage and group payment schedules consistent with all applicable laws, rules and procedures. Working with the AD Facilities department, establish and implement a program for facility care and maintenance. Submit letter of interest, resume and the names and phone numbers of three references via email to Mark Ruckwardt, at athletichr@uoregon.edu. Mailed or faxed applications will not be considered. To ensure consideration, please submit application materials by April 4, 2014. The position will be open until filled. Finalist must successfully complete a criminal background check. An equal-opportunity, affirmative-action institution committed to cultural diversity and compliance with the Americans with Disabilities Act.